B. Gingerbread Homes delivers holiday magic, festive cheer and fun family activities! B. Gingerbread Homes began as a small fundraiser for the Salvation Army. The B. Gallant Homes Team wanted to give back to the people who have been our clients, partners and community over 20 years of business by supporting housing initiatives that shelter the most vulnerable. We look forward to seeing you and your family again soon! Donations for some activities support the critical housing programs of the Nanaimo Salvation Army. 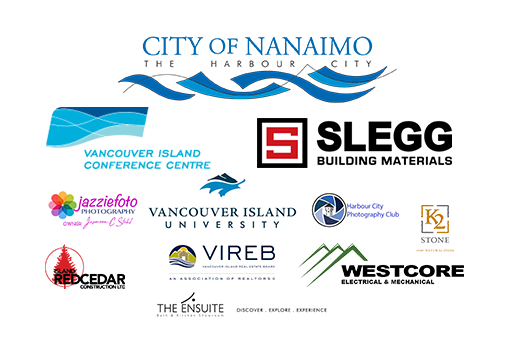 The City of Nanaimo, Vancouver Island Real Estate Board, Vancouver Island University's Carpentry and Baking Programs, Vancouver Island Conference Centre, Slegg Lumber, Westcore Electrical and Mechanical, Ensuite Nanaimo, K2 Stone, Island Redcedar Construction and Jazziefoto Photography wish you well this holiday season! B. Gingerbread Homes is now closed for the season! Thank you everyone who attended. Wishing you all happy holidays and a prosperous New Year. If you are excited about what we are doing, we would love your help! 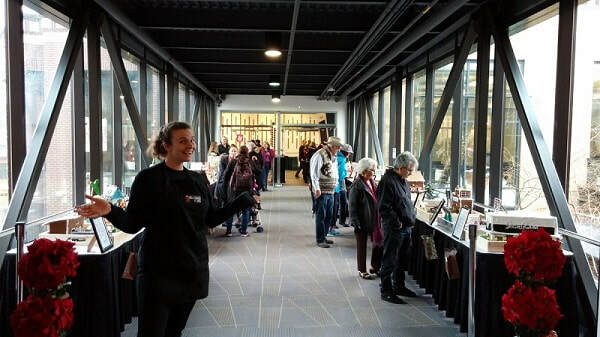 Hosting all these people takes a lot of work, and if you have time to spare email at info@nanaimo-events..com.